Lack of vitamin D can cause anxiety, dementia, mood swings and depression as well as obesity, heart disease, diabetes, prostate, breast and colon cancer. Vitamin D is mainly created by the body from exposure to sunlight and it is crucial for supporting the immune system, muscles, bones and calcium absorption. Now researchers at the Buck Institute believe vitamin D has a much larger impact on health. Vitamin D affects genes known to influence longevity and age-related diseases. With aging, specific proteins in the body can no longer keep their shape and function. This will result in the accumulation of toxic proteins which the body can’t get rid of, causing a wide range of disorders such as Parkinson’s, Huntington’s and Alzheimer’s, heart disease and type 2 diabetes. But, a study on worms suggests vitamin D can stop the accumulation of this toxins by changing the genes responsible for longevity. Worms and mammals share similar processes, so the findings are relevant for us too. “Vitamin D engaged with known longevity genes — it extended median lifespan by 33 percent and slowed the aging-related misfolding of hundreds of proteins in the worm. Vitamin D3, which is converted into the active form of vitamin D, suppressed protein insolubility in the worm and prevented the toxicity caused by human beta-amyloid which is associated with Alzheimer’s disease. Due to disagreements amongst experts, the issue of vitamin intake is confusing. The Institute of Medicine’s (IOM) recommends 600 International Units (IU) of vitamin D for people aged between 1 and 70 years old on a daily basis. Their recommendation for people over 70 years old goes up to 800 IU per day. 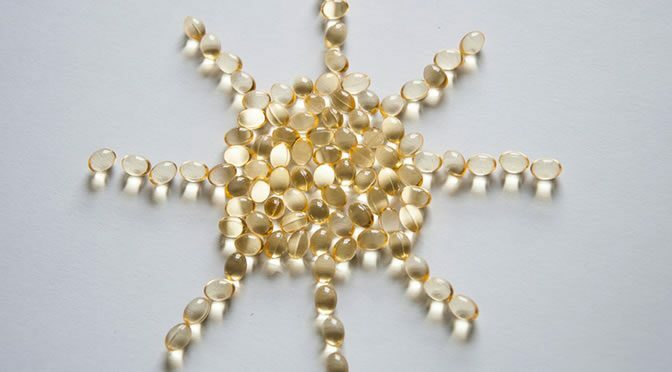 But, Dr Clifford Rosen and Professor Janice Schwartz who have done years of research on vitamin D supplementation, recommend a daily intake between 800 to 1000 IU of vitamin D for adults. Professor Schwartz pointed out that as we age the skin’s ability to produce vitamin D from exposure to the sun reduces. In addition, old people spend less time in the sun and are likely to have a poor diet and suffer from gastrointestinal disorders which is linked to poor absorptions of vitamin D in the body. The study was published in Cell Reports (Mark et al., 2016).